Tele-Class, Stress Management, Disaster Management, Personality Development & Life Management Skills, Security Service, Cyber law, Innovation Drill, Theater Therapy, Science Model Making, Art& Craft, Tutor Training, Psychometric Test. The CONFAB platform integrates a host of IOT sensors and mobile technology to manage access, scheduling and resource allocation for our customers. WildCard’s Managed Services make sure that all systems across an enterprise are functioning efficiently and effectively. 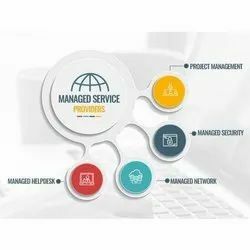 WildCard's Managed Services Engagement Structure is based on the ITIL Framework of WildCard's Master Managed Services program. EASY Packers & Movers provide a worldwide network linking airlines, roadways, railways and shipping lines in one chain with a motive of better quality of service to customers with the most economical costing and dependable schedule is the motive of Simons Shipping. Provide fuel to your digital transformation journey by transforming your current paper-intensive processes and communications. Leverage FCI’s digital expertise to provide you with technology to address your current as well as future communication needs. Your move towards digital will help you maximize your ROI and take your customer experience several notches higher. The Membrane Bio Reactor is a technology in the field of biological treatment providing treated wastewater for recycling in smaller footprint and under stringent discharge norms. Membrane being the absolute physical barriers ensures complete removal of suspended impurities. The aim of high performance service management is to optimize the service-intensive supply chains, which are usually more complex than the typical finished-goods supply chain. ... Among typical manufacturers, post-sale services (maintenance, repair and parts) account for less than 20 percent of revenue. Laboratory Management Testing of different samples. Tolerance value can be maintained for different samples. Different test is automatically allocated to different login id. Finally all reports are accumulated to make a single final report of the sample. Rates of each test is pre defined and the bill is generated according to it. Dastur offers a variety of solutions-from diagnostic tools to hand holding-that can address your specific operational issues and industry requirements. Global steelmakers nowadays are facing challenges in terms of cost competitiveness and quality to outperform their competitors. M. N. Dastur & Co. Privtate Ltd.